Rely on this powerful and versatile work light to get your tasks completed safely. 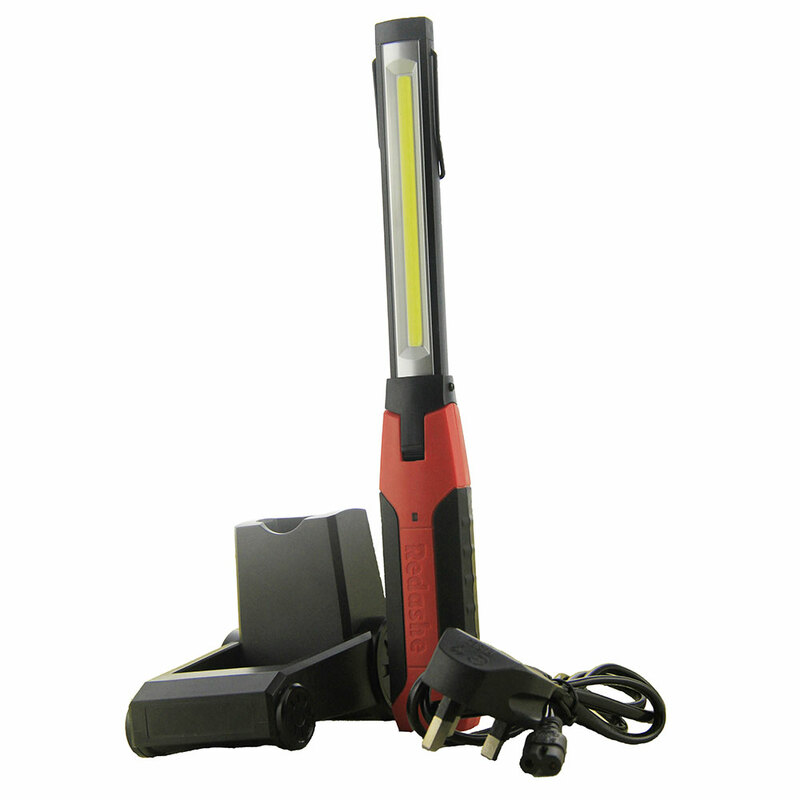 The 200 lumen output within the strip light provides a wide and powerful illumination and the handy 1 watt end torch lamp supplies directional light when needed. Equipped with a high capacity lithium-ion rechargeable battery and finished with a tough impact resistant high clarity polycarbonate lens. This product is ergonomically designed and is shock, water and oil resistant. Supplied with a desk charger, top hook and a powerful magnet on the rear.